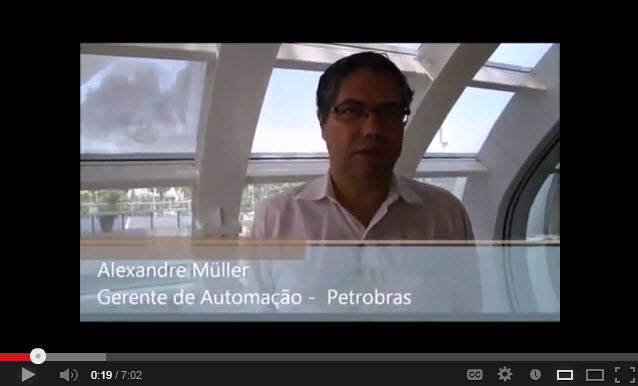 Here’s a new video from Brazilian automation publication Controle and Instrumentacao highlighting our FOUNDATION for ROM live demo at the Petrobras Cenpes research facility. You can see some of the key players in the ROM demo here, including Alexandre Muller of Petrobras and Libanio de Souza of Smar. Thanks very much to Controle and Instrumentacao for the coverage! Introducing Project Gemstone: Making Fieldbus Easier and more App Centered! The Fieldbus Foundation today announced a new technology development initiative—Project Gemstone—intended to make the digital fieldbus automation experience easier than conventional analog control systems in every conceivable way, from device setup to device replacement and daily maintenance practices. Encompassing a wide range of FOUNDATION™ fieldbus development efforts, Project Gemstone covers many of the initiatives the Fieldbus Foundation is already working on today. This includes FOUNDATION for Remote Operations Management (ROM), Field Device Integration (FDI) Cooperation, and ISA108 intelligent device management. FOUNDATION for ROM technology allows users to integrate their WirelessHART®, wired HART®, ISA 100.11a devices, remote I/O, and Modbus communication into the FOUNDATION fieldbus managed infrastructure. FDI is working towards a single device integration package that will provide all the benefits of Electronic Device Description Language (EDDL) and FDT/DTM technology. The ISA108 standards effort is defining recommended work processes for intelligent device management, regardless of communication protocol. The foundation’s new usability team is also focusing on how to make fieldbus devices easier to specify, set up, configure and maintain. Today’s control technology should be easy to use and interoperable, and allow results to be achieved quickly, but end users need the right work processes to guide them in its successful application. For example, plant engineers want to be able to combine devices from different networks and manage them effectively, with minimal effort. Experienced automation professionals in the process industries have taught us a lot about the implementation of fieldbus and how to make it better,” said Timoney. “As an end-user-driven organization, we are taking all of this feedback from our dedicated end user customers, suppliers and engineering partners and driving it into a continuous improvement process to make the technology easier to use in a wide range of applications. Many of the recent advancements we have made in our specification are geared not just toward the user. They allow process automation suppliers to create more effective applications as well. If you are a small supplier just starting out today, you can really use the FOUNDATION fieldbus specification to create an entire control system offering. Project Gemstone will drive an innovation strategy enabling plant owners to focus more on what technology can do for them and their business, versus how they manage the technology itself. The project’s focus on standards-based solutions will also make it easier for automation suppliers to develop new fieldbus-based products and applications. In addition, the Fieldbus Foundation’s testing and registration process is designed to ensure FOUNDATION fieldbus devices, systems and components all work together as they should. Check out our Upcoming and Free End User Seminar in Edmonton! The first of our North American seminar series for 2013 will take place at the Radisson Edmonton South Hotel on June 5, with a mini sales force training seminar the next day from 8 AM to 12 PM. You can register at our CVent registration site. Our end user seminars are design to take a hands on approach to many of the basics surrounding FOUNDATION fieldbus throughout the plant lifecycle. Our sales force training seminars are specifically designed to address the requirements of the salesperson. Come join us in Edmonton! 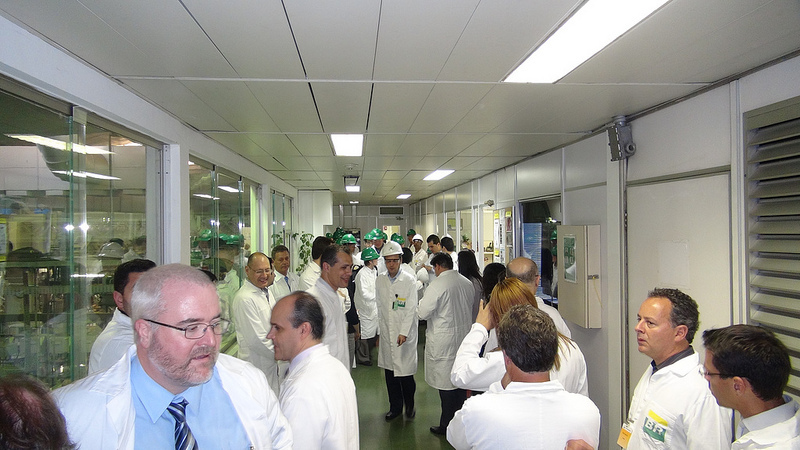 The Fieldbus Foundation conducted the first live demonstration of its FOUNDATION for Remote Operations Management (ROM) technology at the Petrobras research and development facility (Cenpes) in Rio de Janeiro, Brazil. Held on April 30, 2013, this important event was attended by Petrobras company executives and automation industry media from around the world. The first development of its kind integrating remote input/output (I/O), ISA 100.11a, WirelessHART®, wired HART, and H1 fieldbus protocols into a single standard data management environment, FOUNDATION for ROM extends the capabilities of FOUNDATION fieldbus to countless wired and wireless devices installed in some of the world’s harshest and most remote locations. This open, non-proprietary solution provides a unified digital infrastructure for asset management in applications ranging from tank farms and terminals to pipelines, offshore platforms, and even original equipment manufacturer (OEM) skids. Whether operating on a wired or wireless High Speed Ethernet (HSE) backhaul network, the FOUNDATION for ROM solution enables end users to pull device data into the Foundation fieldbus infrastructure, which provides a single source of data management, diagnostics, alarms and alerts, data quality control, control-in-the-field capability, and object-oriented block structure. The Petrobras Centro de Pesquisas Leopoldo Américo Miguez de Mello, also known as Cenpes, is the largest oil and gas research center in the Southern Hemisphere. 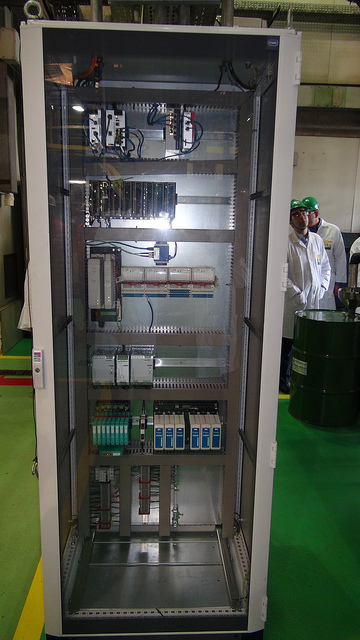 During the press day event, a series of tests were performed with a FOUNDATION for ROM system installed on a distillation process pilot plant to evaluate the use of fieldbus-based ROM devices with wireless protocols for remote applications. 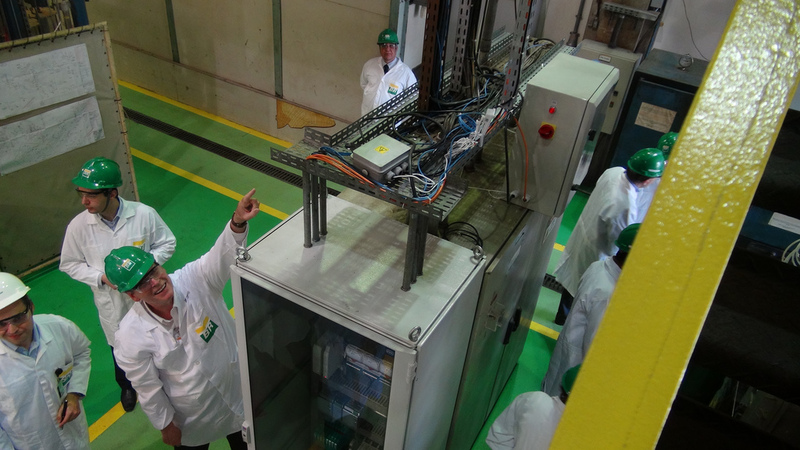 Miguel Borges, who is employed at the Cenpes facility, believes FOUNDATION for ROM can be an enabling technology for remote applications on Petrobras’ offshore platforms. “The Fieldbus Foundation’s ROM solution is attractive to us, since we want to gain access to diagnostic information from devices installed at our remote sites,” said Borges. “Petrobras is committed to investing in this type of technology, and is seeking the most effective solutions available in the marketplace.” Reliance Industries (India) has also agreed to host FOUNDATION for ROM field demonstrations, and additional end user demonstrations in Japan, the Middle East and Europe are being planned. Running on one of many of the Cenpes pilot plants, the Petrobras field demonstration offered a look at the full functionality of Foundation for ROM, including wireless device integration, remote I/O integration, and wireless backhaul capabilities. This demonstration is the first step to show the capabilities of Foundation for ROM before it is specified for commercial projects. The ROM solution enables end users to diagnose, either locally or remotely, the condition of their automation assets and then optimize predictive and preventive maintenance strategies. FOUNDATION for ROM equipment is installed on an existing distillation column unit in the Cenpes pilot plant area. The project was completed through a cooperative effort between Petrobras and local Brazilian automation suppliers sponsoring the ROM initiative. The Cenpes installation is an excellent example of the value of installing FOUNDATION for ROM and Foundation fieldbus in an existing plant. The existing distillation column already has many analog and HART field devices installed. Petrobras was able to install a number of additional measuring points with a very small hardware footprint through a combination of FOUNDATION fieldbus H1 and wireless devices. The installation includes three types of FOUNDATION for ROM devices — wireless gateways, process controllers connected to FOUNDATION fieldbus H1 devices, and conventional remote I/O. The demonstration took place inside the Center for Collaborative Visualization (NVC), also known as “The Egg,” a spherically-shaped building that houses a center for high-fidelity 3-D training simulation. Because of the remote capabilities of FOUNDATION for ROM, participants were able to use the meeting room as a virtual control room, showing live video feed from multiple locations in the pilot plant and wireless device diagnostic information all within the FOUNDATION fieldbus infrastructure. Information from the pilot plant in another part of the Cenpes compound was communicated across the High Speed Ethernet (HSE) wireless backhaul network to the virtual control room in the meeting room over standard Ethernet hardware and wireless equipment, as well as standard cyber security appliances. if you will. FOUNDATION for ROM is an enabler for cyber physical systems in process automation because it has the ability to consolidate diagnostic information from a number of disparate networks and can manage that information effectively in a single infrastructure that can be shared wirelessly through standard Ethernet and IP technology. Fieldbus Foundation Marketing Manager Larry O’Brien gave a brief description of how FOUNDATION for ROM does this, as well as the business requirements addressed by ROM. According to O’Brien, FOUNDATION for ROM was designed to enable fieldbus connectivity to remote I/O and the leading industrial wireless protocols, and is the first successful integration of ISA100.11a, Wireless HART, wired HART, and wired H1 protocols into a single standard environment without sacrificing the diagnostic capabilities of existing wireless devices. Instead, these capabilities are mapped into the Foundation block structure to provide a standard environment for data management and quality, eliminating techniques that are highly customized and much more costly to maintain throughout the plant lifecycle. O’Brien indicated that FOUNDATION for ROM takes full advantage of the FOUNDATION fieldbus HSE-based network, which shares the same architecture as the H1 field network technology. With FOUNDATION for ROM, the HSE backhaul network is the “glue” that brings other networks together into a single managed infrastructure. John Rezabek, chairman of the Fieldbus Foundation End User Advisory Council (EUAC), then gave a presentation on the value of FOUNDATION fieldbus and Foundation for ROM to the end user. Rezabek used the “Walled Garden” analogy of Apple to describe the proprietary approach that many have taken to process automation, stressing that the value of FOUNDATION fieldbus lies in the fact that it was created with the guidance of end users, and its evolution continues to be heavily influenced by the EUAC, FOUNDATION for ROM included. The second half of the day consisted of presentations from Petrobras personnel and the Fieldbus Foundation’s demo project leader for Brazil, Libanio De Souza from Smar in Brazil. Renato Ogeda, equipment manager at the Cenpes plant, gave an overview of the Cenpes facility. This creates consistent status reports for operators who can then view remote data for further analysis. The actual demo equipment included FOUNDATION fieldbus H1 devices, a number of wireless devices, several ROM devices, and the wireless backhaul network. Fieldbus H1 devices were connected to a Smar FOUNDATION for ROM controller. 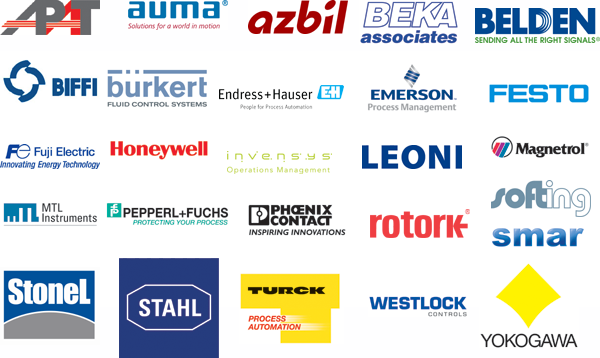 FOUNDATION fieldbus H1 device suppliers include Emerson Process Management, Pepperl+Fuchs, Smar, StoneL, Westlock, and Yokogawa, as well as a fieldbus indicator from Beka. Discrete I/O from R. STAHL is also installed. H1 devices are connected to fieldbus device couplers and integrated power supplies from Pepperl+Fuchs, MTL, and R. STAHL. In addition, a number of wireless devices on both the Wireless HART and ISA 100.11a networks are installed in the demo, and their diagnostic data is integrated into the host system and plant asset management system. Wireless HART devices from Emerson and Smar are connected to a FOUNDATION for ROM wireless gateway from Smar. Yokogawa and Honeywell have supplied ISA 100.11a devices that are connected to a Yokogawa ISA 100.11a gateway. FOUNDATION for ROM conventional remote I/O is provided by R. STAHL. The conventional remote I/O, process controller, and wireless gateways are all connected to the HSE wireless backhaul network through managed switches from Belden and Phoenix Contact. The demo setup also shows the integration of cyber security for automation with the installation of automation firewalls from Belden and Phoenix Contact. The HSE wireless backhaul network uses backhaul WiFi radios from Belden and MTL. All the wireless backhaul network hardware is standard hardware with no modifications. 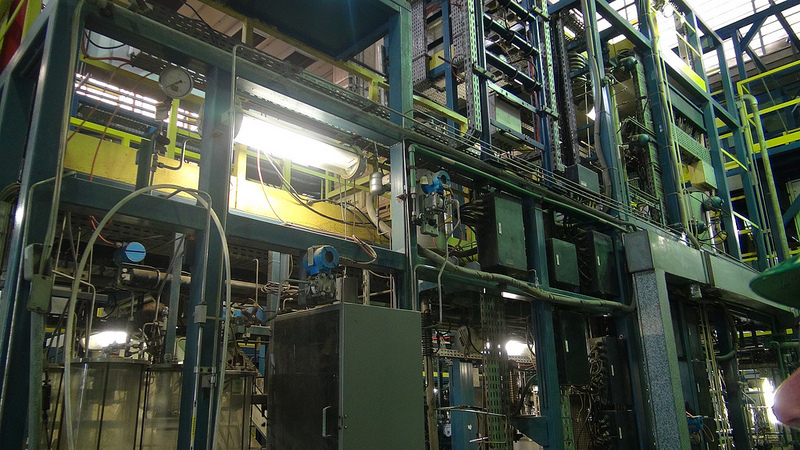 OPC and video data are also transmitted over the wireless backhaul network, which connects to a remote control room location with a Smar FOUNDATION fieldbus host system and plant asset management system. 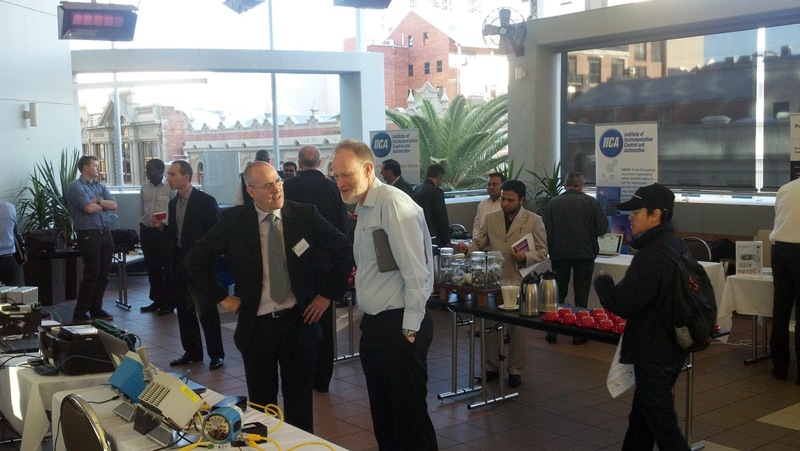 The functional demonstration included accessing device diagnostics in wireless devices, including device status. 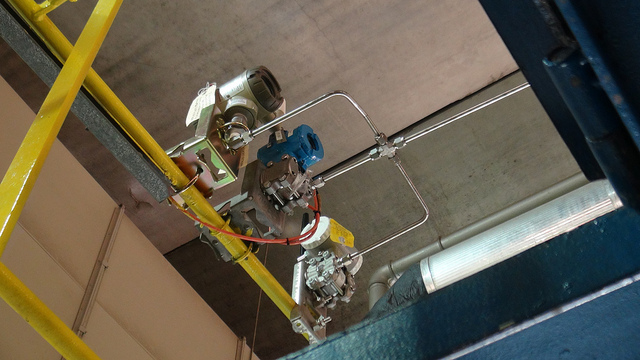 Integration of video was demonstrated through observation of a control valve to determine if the valve was open or closed. A temperature sensor for a HART temperature transmitter was also pulled to show how the diagnostic alert would be visible in the same context as a Foundation fieldbus H1 device. Fieldbus Foundation supplier members sponsoring the Foundation for ROM demonstrations included: APATechnologies, AUMA, Azbil, Beka Associates Ltd., Belden, Biffi, Buerkert Werke, Emerson Process Management, Endress+Hauser, Festo Brazil, Fuji Electric, Honeywell, Invensys Operations Management, Leoni-Kerpen, Magnetrol, MTL, Pepperl+Fuchs, Phoenix Contact, R. STAHL, Rotork, Smar, Softing, StoneL, Turck, Westlock, and Yokogawa Electric Corporation. You can check out the full Flickr Photostream from our FOUNDATION for ROM live demo at petrobras here. Just click the six latest uploaded presentations in our Slideshare account to see the rest of the materials from the demo, including Miguel Borges’ of Petrobras presentation on the anticipated benefits of FOUNDATION for ROM and their experience with the demo. Libanio De Souza from SMAR also gave a very good presentation on the association block technology that makes ROM possible, and Edgar Hoffman of Petrobras delivered an excellent presentation on the benefits of the ROM wireless backhaul technology. Aberdeen, Scotland– 7 May, 2013 – The Fieldbus Foundation UK Marketing Committee (FFUKMC) is finalising its plans for the second of its 2013 schedule of end user events – a FOUNDATIONTechnology Study Day to be held in Aberdeen on Tuesday 21 May, 2013. The event will be held on Tuesday 21 May at the Yokogawa UK offices, Unit 33 Abercrombie Court, Arnhall Business Park, Westhill, Aberdeen AB32 6FE. Delegates are invited to register their names, company, email address and session preferences with the UK Committee, email: uk_info@fieldbus.org. Additional FOUNDATIONTechnology Study Days are scheduled to be held at locations around the UK including the central belt and north of England. Jim Pinto, a name that everyone in the automation business should be familiar with, has written a good article on the differences between Ethernet and fieldbus, and the shortcoming that must be addressed with Ethernet to make it suitable for plant level applications. This is a good antidote to a lot of the press going around recently extolling the imminent demise of fieldbus in favor of its ethereal cousin. Read about it in Automation World. Fieldbus is Dead, Long Live Fieldbus! Our End User Advisory Council chairman John Rezabek has written a great column in Control about the recent spate of articles and research reports that talk about Ethernet and fieldbus. First, let me say that we at the Fieldbus Foundation couldn’t agree more about Ethernet. We knew Ethernet would be widely accepted as an industrial networking technology many years ago when we adopted Ethernet and standard IP for our HSE network. However, many issues still remain regarding Ethernet deployment at the field device level, many of which are discussed by John in this article. There’s a difference between Ethernet and fieldbus, and the two aren’t mutually exclusive.